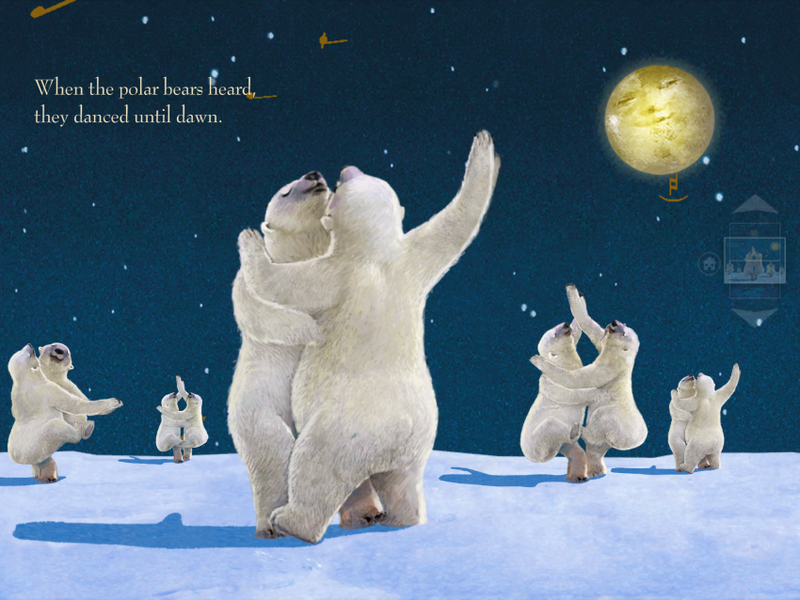 The message behind Nancy Tillman’s On the Night You Were Born (2005) is that “you are fearfully and wonderfully made.” All of nature rejoices when a baby is born: polar bears dance, the wind sings, and the geese fly home. This is a great lap book, and my daughter knows that she is special when you read it because everything whispers her name. Tillman’s whole “You Are Loved” series does well on both the secular and religious markets, and like books such as Bernadette Rossetti-Shustak’s I Love You Through and Through (2005) or Sam McBratney’s Guess How Much I Love You (1994), it teaches kids that they are beloved. Knowing that you are loved and being secure in your personhood is one of the most fundamental Christian messages that we can pass on to our children. This same message animates Max Lucado’s board books like Thank you, God, for loving me (2011). Here Lucado does for children what he has done so well for so many adults. His message of comfort, love, and grace flows from these pages in ways that children will find completely natural. 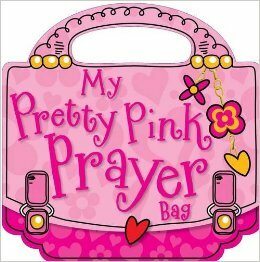 One book that my daughter really likes is My Pretty Pink Prayer Bag (2010). I can’t stand it. It’s about teaching prayer through really bad rhyme and some very unsubtle gender conditioning: “This is my prayer bag to help me to pray. I carry it with me each and every day. It tells me how, when and what I need to do. My prayer bag helps me speak to God, with pretty pictures too!” But it looks like a handbag and is covered in pink glitter. And it has pictures of bunny rabbits and puppy dogs. For a long time she just saw the puppies, but as her understanding about God grows she has started to notice that God “is kind and good and always loving you.” My Pretty Pink Prayer Bag helps her associate talk about God with things she loves, and prayer with her bedtime ritual. Even if it encourages her to think that girls should wear pink and play with dolls, it also brings her closer to God. And for that, I am eternally grateful. Another book she and I disagree on is Alice Joyce Davidson’s Alice in Bibleland series (1984). The premise behind these books is that Alice is a good little girl who lives on a farm, loves going to church, and enjoys reading her Bible. A dove comes down one day while she is reading and invites her into the story just as Lewis Carroll’s Alice goes down the rabbit hole. Alice gets a fly-on-the-wall view of Bible stories and always ends up praising God. The Story of Creation ends “And when she went to Bible School, / She sang this song of praise / About how God made everything / In only seven days. / Glory! Glory! Glory! / Glory to our King, / For out of nothing He has made / Every living thing!” For a long time we managed to tell the story without using Davidson’s rhyme, but after my daughter discovered that this is a rhyming book she now insists we read the original words. These books are tacky, the plots are wooden, and the illustrations are unexciting, but she likes them and they do get us talking about God. The stories contained in these books are so full of meaning, suspense and ambiguity that – despite Davidson’s best efforts – the mystery of God still shines through them. More recent books based around Bible stories are often better. Susan Collins Thoms’ interpretation of Noah’s Ark (2012) or Rob McClurkan’s David and Goliath (2012) both reduce these stories to morality tales told through rhyme, but the illustrations are more interesting and to be fair, it is hard to tell a story properly in a short board book. Lucy Cousins, who is best known for her Maisy series, nonetheless manages to bring Noah to life through her bright colors and striking artworks. 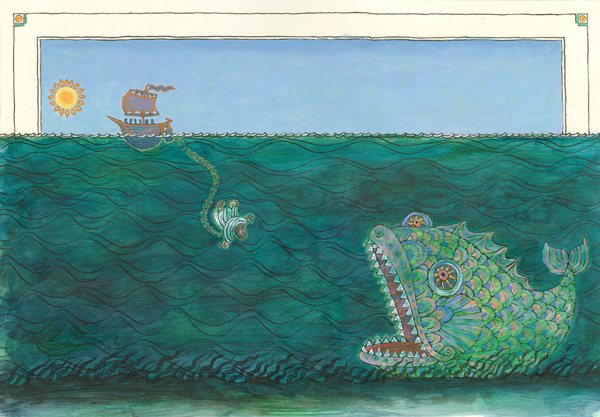 My personal favorite is Mordicai Gerstein’s Jonah and the Two Great Fish (1997). Instead of simplifying the story, Gerstein complicates it. 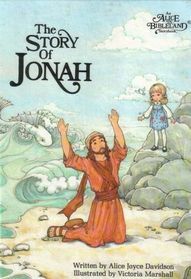 His story comes out of the Midrash and involves Jonah being swallowed by two different fish. It adds some interesting quirks and humor to the plot, deepens characterization, and gives Gerstein’s folk art some particularly colorful subjects. 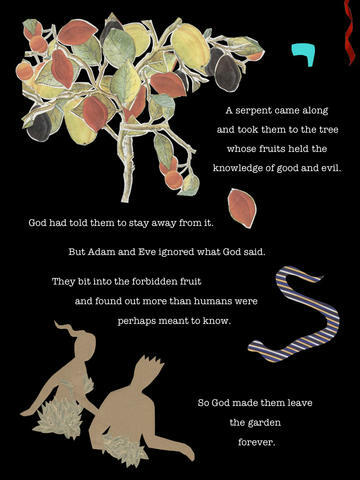 Retelling Bible stories is hard, and no-one does it better than Benjamin Morse, whose The Oldest Bedtime Story Ever (2012) is epic. Here Morse recounts Biblical history from creation through to the return of the exiles without making it feel rushed. He is a Biblical scholar and his words and artwork bring out themes of divine transcendence, human sinfulness, and family disfunction that rarely make it into picture books. In a fascinating interview, Morse describes it as something “for all ages and creeds” that is sensitive to the diverse interpretive traditions while setting up important discussions about themes such as covenant theology that should drive parents and children back into the Bible together. This deceptively simple book is still beyond the attention span of my three-year old, but I eagerly await the day we can savor it together. Another master storyteller who has tackled Biblical interpretation is Tomi de Paola. His Book of Bible Stories (2002) is a mature reading of these tales that leaves you wanting more. Tomi de Paola has a gift for conveying the riches of Christian spirituality through picture books. If you don’t understand why Catholics venerate saints after reading Patrick: Patron Saint of Ireland (1994) then you didn’t read it. 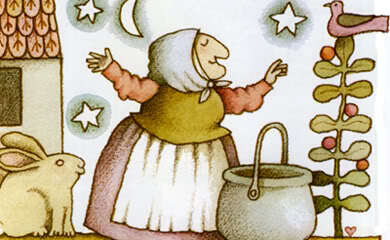 And books like Strega Nona’s Gift (2011) take Tomi de Paola’s well-known heroine and use her to introduce the feasts through which Italian Catholics celebrate Christmas. Not only does he shed fresh light on the meaning behind such feasts, he reminds us that generosity is more important than greed, and that blessing others through cooking is more than a little bit magical. Of all Bible stories, that of Christmas is probably the most often told in picture book form. Patricia A. Pingry’s The Story of Christmas (2010) gives a straight-forward narrative based on Luke’s gospel, but my preference is for more subtle presentations like Who Is Coming to Our House? by Joseph Slate and Ashley Wolff (2001). Here a cow asks repeatedly “Who is coming to our house?” and mouse replies “Someone, someone is coming to our house.” The animals clean the barn and prepare for the coming of the strangers as the suspense slowly builds. By the time Mary and Joseph arrive we feel the excitement of Jesus coming into the world and are reminded that not only is hospitality a virtue, but we need to prepare a place for Him in our own lives. Lisa Tawn Bergren approaches Christmas from a different angle in God Gave Us Christmas (2006). After a little polar bears asks whether God is more important than Santa, his mother shows him the glory of creation and the joy of giving as proof of how much God loves us. “Little Cub, Jesus is like this flower,” she tells her baby, “God in our world. Living where you wouldn’t expect him, surprising us!” The message is simple, but its implications are profound and well within a child’s comprehension. 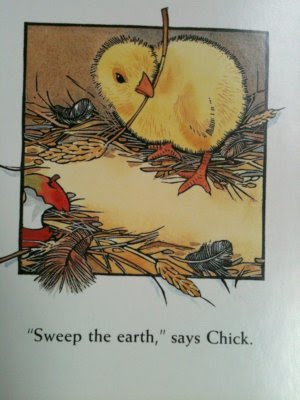 If the nativity story is custom-made for picture books, there are few that talk about Easter well. 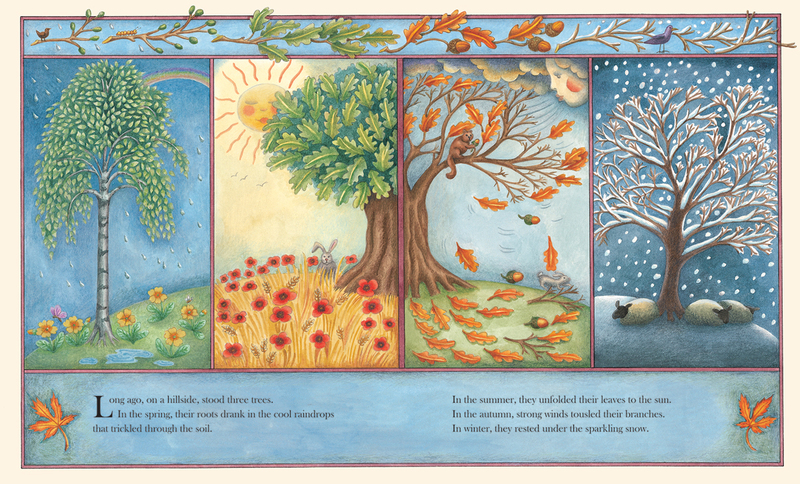 One that tries hard is The Three Trees: A Traditional Folktale (2011), which has been retold most recently by Elena Pasqueli. It is a well-known story and you can find it nicely done on youtube. It begins with three trees dreaming of their future. The first wants to be a treasure chest and eventually becomes Christ’s manger. The second wants to be a mighty sailing ship and eventually watches Jesus calm the storm. The third just wants to worship God and becomes the cross on which Christ was crucified. The illustrations in Pasquelli’s edition are beautiful and help children to appreciate that something very special happens whenever Jesus is around. This last book is my favorite. 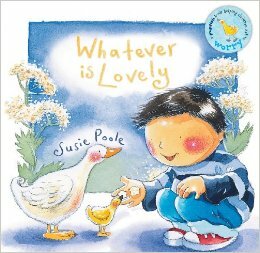 Susie Poole’s Whatever is Lovely (2006) starts by reminding the reader of all the things in life that make you afraid, sad, or cheated. “But I won’t worry about these things,” the little boy says. “I’ll talk to God and he’ll help me. And then… I’ll think about whatever is lovely.” When he starts putting Philippians 4:8-9 into practice, the boy discovers wonder, kindness, friendship, and joy. Such a reminder to think about “whatever is true, whatever is noble, whatever is right, whatever is pure, whatever is lovely, [and] whatever is admirable” is good for adults as well as children. When you are at a stage in your life during which you have to read pictures books day in and day out, it is refreshing to find one that edifies you as well as your child. And simple presentations like Susie Poole’s that reorient our thinking towards God do just that.